At about 5pm on Tuesday, July 31st, a small fire was reported at the Chittenden Solid Waste District (CSWD) Materials Recovery Facility (MRF) in Williston, the District’s sorting facility for large loads of “blue bin” recyclables. The incident occurred after the facility had already shut down for the day. Local fire departments responded quickly to contain the fire, which caused minor damage to an outside wall. No one was injured. The MRF resumed regular operation at 12:00pm on Wednesday, August 1st. While the cause of the fire is still unknown, it was certainly caused by an item that should not have been placed in the recycling bin. The fire highlights the danger created by “wishful recycling,” when well-intentioned residents put miscellaneous items in a recycling bin or cart with the hope or assumption that they will be sorted out. The MRF is the destination for “all-in-one” or “blue bin” recycling collected from the vast majority of residents and businesses in Northern Vermont, and is designed to sort a specific set of items: Containers (like empty bottles, jars, cans, and tubs), paper, and cardboard. When other items are placed in a recycling bin, it not only makes the system less efficient, it endangers the workers that help to sort recyclables. Many items can be recycled – but only certain items belong in the recycling bin. Learning what belongs – and what doesn’t – can help keep our workers safe. Dangerous items like batteries, propane tanks, or chemical containers should never be placed in a recycling bin or cart. CSWD operates special recycling programs for a variety of materials that are recyclable – but that don’t belong in the blue bin. 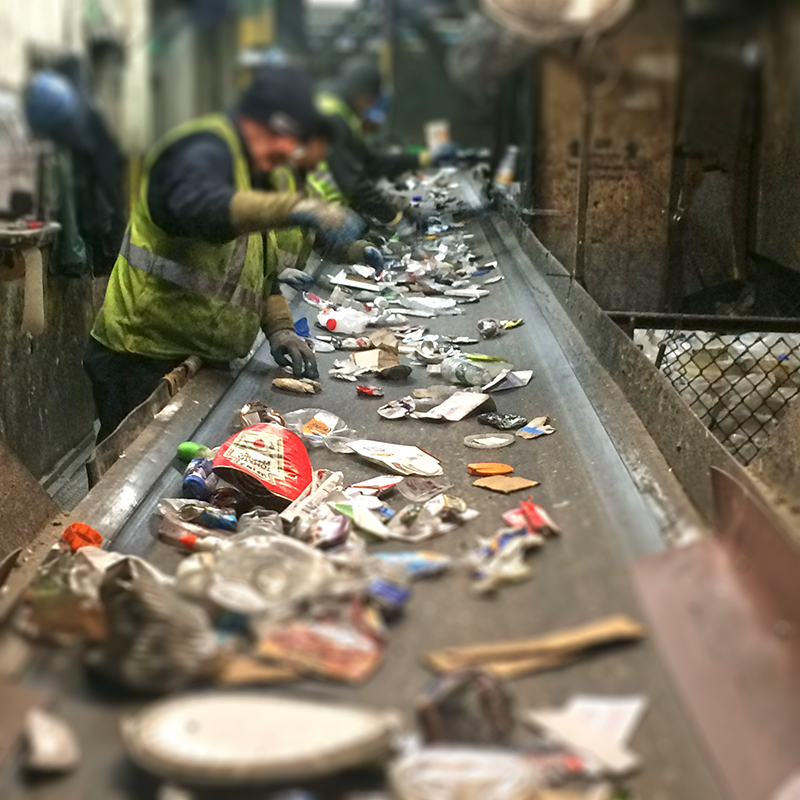 To learn more about local recycling options, visit our Recycling page. Jonny joined CSWD in 2014 after several years abroad where he ran websites, film projects, classrooms, and half marathons. Originally from Virginia, he was drawn to Vermont's strong sense of community, apple cider, and the search for Champ.